It’s 2017, and all of us who have oversight for IT expenditures understand that technology needs to be replaced. The issue is that many of us still wing it and really don’t have a solid strategy for replacing equipment. This creates some serious issues, and ultimately creates a higher volume of IT issues and team frustration. What do we mean by desktop equipment? Desktop equipment is the stuff that our team works on every day. It is our main device and the peripherals attached to it. For many this is a Windows PC, for some, it is Mac or Apple device. And, then we have the keyboard, mouse, monitors, keypad, and maybe some other attached devices. 1. To understand Equipment Refresh, we first need to understand the WHY. In some ways, it is contrary to logic. Why would I replace perfectly good equipment just because of its age? Much of the reason hinges on the productivity of our workers. Computers are basically productivity tools. It is expensive for one of our team members to be unable to work. It becomes very expensive very quickly, if their technology costs them 15 minutes per day because it is slow, or they must work around a frequent glitch, or their computer completely fails and kills productivity for a day or more while it is replaced. If these types of things are happening, it creates a great deal of frustration for the team member who is experiencing it. In addition, leaving computers in play for extended periods of time can create serious security vulnerabilities. Old operating systems and old technology have a much higher risk of compromise by spyware, viruses, and other hacking tools. Finally old systems are just harder to support. They cost more to prop up, they have a higher volume of issues, and the skills necessary to work on them are often left behind as new technology comes out. One of the ways we quiet a network down and make it stable is by paying attention to replacement. 2. For these reasons, equipment should be replaced on a cycle, but WHEN? The answer is pretty straight forward. Most equipment should be replaced at the outside, before it reaches the 5-year mark. This is statistically and experientially when risk of failure goes up. Those hard drives and fans turn continuously and those electronic parts heat up and cool off, and eventually they fail. And after 5-years, it is likely your OS (operating system) is out of date, and the PC registry has grown and expanded and gotten bulky with updates and software loads. Keyboards and mice fit this same 5-year outside mold. They have been in the hands of someone for a very long time and are typically included with a new machine anyway. Monitors can often go beyond the 5-year mark, but it is important to keep in mind that reducing eye strain with newer, bigger screens, and newer digital connections (less flicker) like HDMI can be valuable to the well-being of your team. If you have not replaced monitors in more than 6 years, you may want to evaluate newer, bigger units or dual monitors. There are many studies that prove it increases productivity to have more screen real estate. 3. Is the no-more-than-5-year rule hard and fast? It really depends on WHO. Who will be using the equipment? How much of a power-user are they? Many people allocate equipment by seniority or by job title. However, the right way to look at replacing equipment is based on how a team member uses their system. Are they a power user? 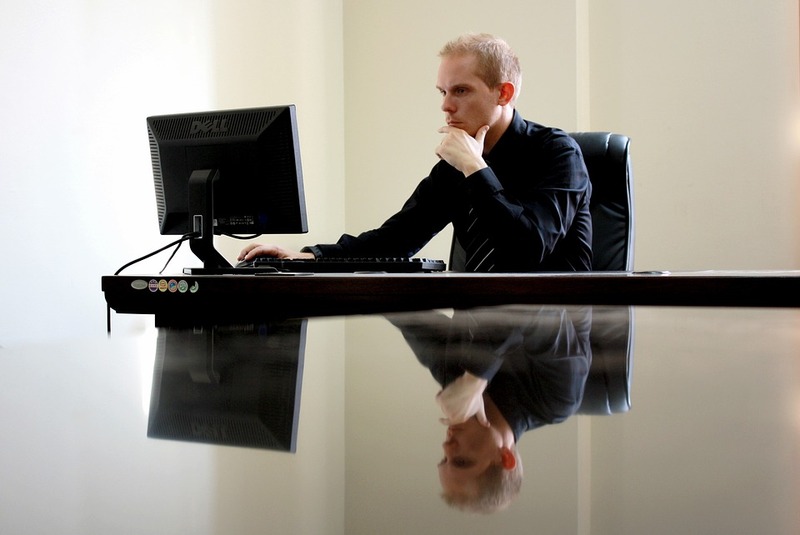 It is often true that an administrative person is working on their computer all day with many windows open, and really pounding out work based on their computing power, while an executive spends time in meetings and reading emails and is not consuming as much of their computer resources. Or, the engineer using AutoCAD pushes their machine to its limits while the walk-up station in the warehouse may only be used a few times a day. Users who rely on their machines all day long to produce their product often need replacement sooner than the 5-year mark. And, new upgrades to products like Photoshop, Solidworks, and Revit may make new equipment at the 3-year or 4-year mark a good idea. 4. So, WHERE should we implement this replacement strategy? Across our whole business. We use a tool here at CTaccess that allows us to dynamically track inventory across our whole organization and use this same tool for our customers. It makes it easy to look at an active inventory of desktop equipment and create an aged report. We can then create a replacement plan so that nothing is a surprise. Often, we create a schedule based on dividing the number of units by 4 or 5 and plan to replace that number each year. With some careful planning, IT expenditures should no longer be a surprise, support issues should go down, and user productivity should go up. 5. The question then comes down to WHAT kind of new equipment should we be installing. This obviously varies somewhat based on the use or the user. Autocad, Photoshop, Solidworks and other heavy-duty applications require special stuff. The best philosophy for replacement is to purchase a robust machine. Again, we are protecting the productivity of our team members, and we also want to buy high enough that we don’t need to replace more frequently than we should. Right now, for a standard business machine, I would recommend the following: i5 or i7 4th generation processor, at least 8GB of RAM (12GB or 16GB is even better and only a little more), an SSD hard drive (this will cost more, but is worth it for speed), Windows 10 Pro, at least a 22” monitor (more is always better on the eyes and two is better than one) and a new keyboard/mouse. One other recommendation, and this is for free! The temptation is to do what our tech team refers to as a Round Robin. I’ll get Bob, the power user a new unit. I’ll move his to Teresa, and Teresa’s to the warehouse. This is almost never worth it. That used PC will need to be cajoled into its new function and it will still be old, you will have interrupted the user, given them something that may be perceived as a retread, and you will still need to replace it soon. The Round Robin has hidden cost that we don’t usually see. I recommend a new machine for a new user and using the old as an emergency spare, or donating it or recycling it. It will save you money in the long run.